I have only been food blogging for roughly 6 months, and to my amazement I have been recognised by different organisations such as Delivery Hero and The Chef Project, and to add more too the list I was invited to a Sydney Food Bloggers' Picnic 2012 hosted by the some of the top bloggers in Sydney being Suze from Chocolate Suze and Helen from Grab Your Fork. I brought a never fail recipe of feta and eggplant meatballs with tzatziki. 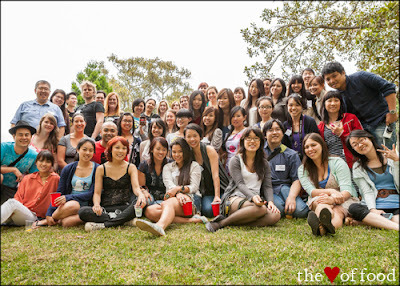 The picnic had a great turn out of approximately 70 bloggers! And we were lucky enough that it didn't rain for the amount of time we were there. There was an endless banquet of food with a balance of sweet and savoury, including pandan cupcakes, home-made marshmallows, seafood paella, various wraps & sandwiches along with other interesting foods including beer and bacon cake! 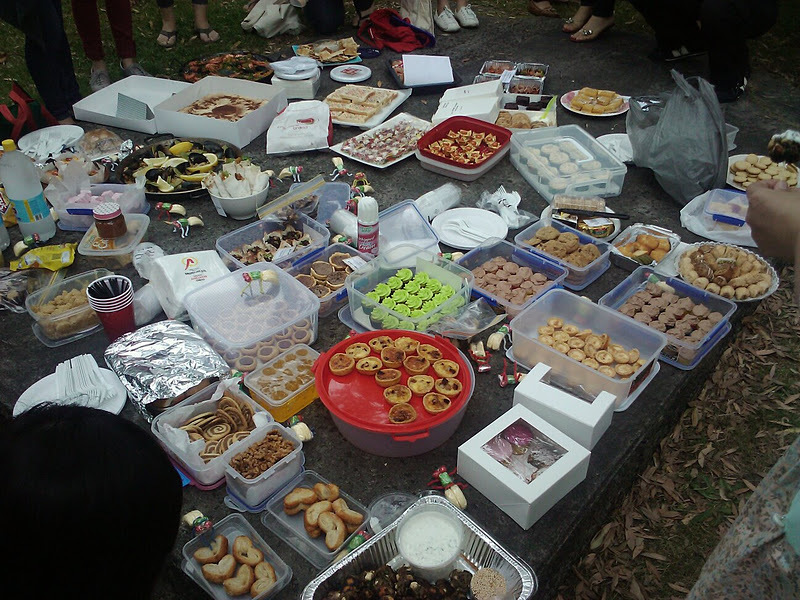 It was such a great experience to meet all different people with the common interest of food. As James Beard says "Food is our common ground, a universal experience". The meatballs were delicious! Was great to meet you and look forward to seeing you at the next meet-up! Thank you for all your kind words! I was very tempted to bring something sweet, but I knew there would be a lot of them to I went the opposite way. yum, I remember those meatballs! I'll have to try the recipe myself sometime!